CEO of the South-West Regional Health Authority (SWRHA) Keith McDonald has denied claims of overcrowding and ill-treatment of patients at the San Fernando General Hospital, saying people are making mischief using inaccurate information. "This is mischief, it has to be. Look at what they are saying. They don’t know the facts," Mc Donald said. He gave statistics for the day, saying as of 3. 30 pm, staff had attended to 83 patients, 62 of whom were admitted. Eighteen were awaiting beds and three discharged themselves from the hospital. "All the patients we have in the Emergency Department have been seen and have been in triage for treatment. The way people making it sound, as though there is a big back-up. Sometimes we see 100 patients a day, and now we are having more patients from the north," McDonald said. Triage involves checking patients in the accident and emergency department, where staff determine if they must be warded or whether they can be treated and sent home. "Sometimes the result of a test takes three hours. If we don’t do the triage, people will say we misdiagnosed them. "We are doing everything; our business is health care and we are doing the best." "Are patients being kept longer because of the delay in getting blood tests, MRIs, x-rays, CT scans and other medical tests? Is the Bed Bureau Management system now defunct? Are senior doctors still conducting evening ward rounds to discharge recovering patients?" Bodoe questioned. He is a former chairman of the SWRHA. "Is the mass overcrowding a result of a shortage of drugs and supplies to treat in- patients which increases the time they are spending as in-house patients? 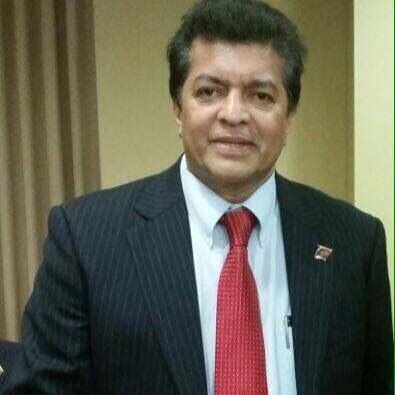 Is the fact that ENT patients from Chaguanas District Health Facility are being referred to San Fernando General Hospital instead of the Eric Williams Medical Sciences Complex contributing to this problem?" Bodoe also called on the Government to say what would happen to the already overburdened public health system after Friday’s closure of Petrotrin. "Is it that these workers have already begun visiting the hospital knowing that they may have to be removed from the Augustus Long Hospital on Friday? The suffering public awaits urgent answers from the Minister of Health and the Government," Bodoe said. Former UNC minister Devant Maharaj made similar comments and called on the Government for answers. "Someone needs to say something about this medical crisis." Reply to "Inaccurate info on SFGH ‘crisis,’ says RHA CEO"